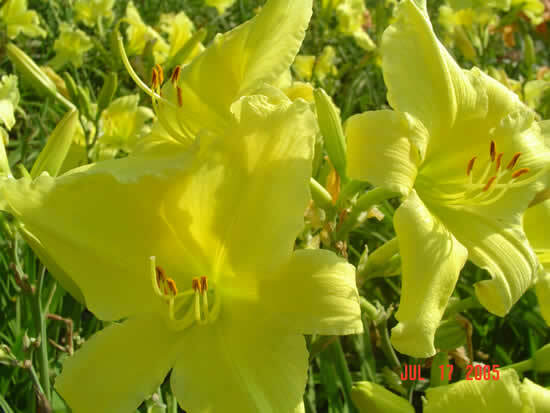 Thanks for visiting our price list. 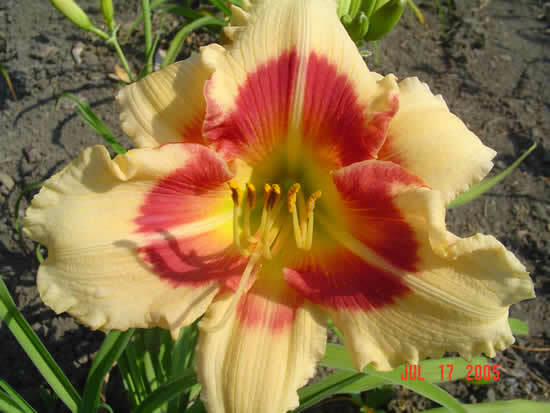 Our minimum order is $25.00 excluding shipping and handling. 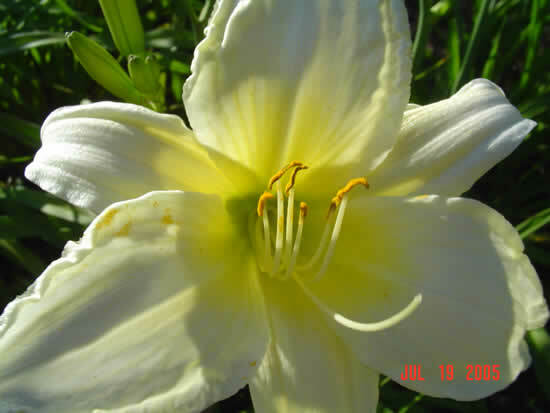 Our shipping and handling is $12.50 per order. 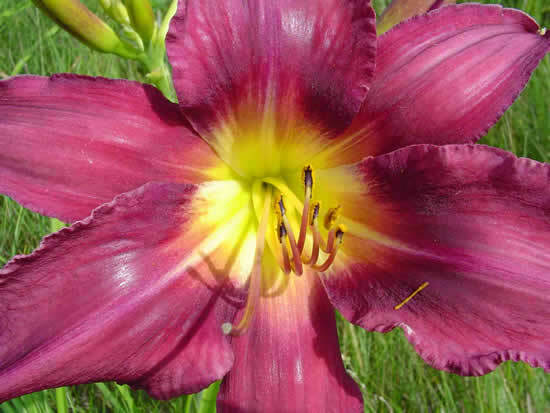 Our shipping method is USPS. 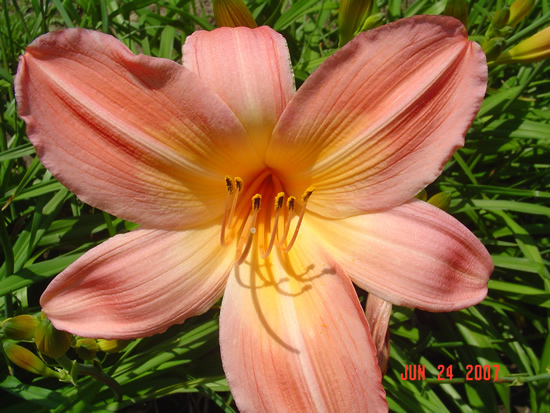 Orders are filed on a first come first serve basis. 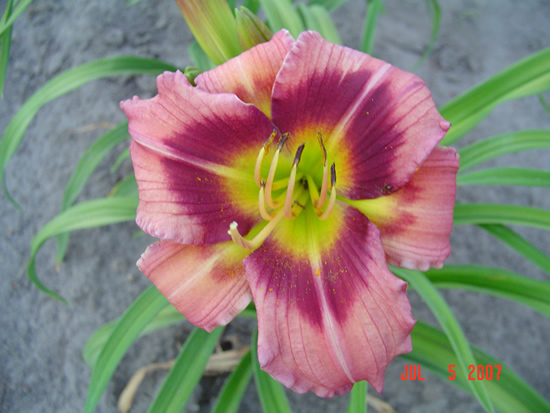 We can only accept orders from within the continental United States. 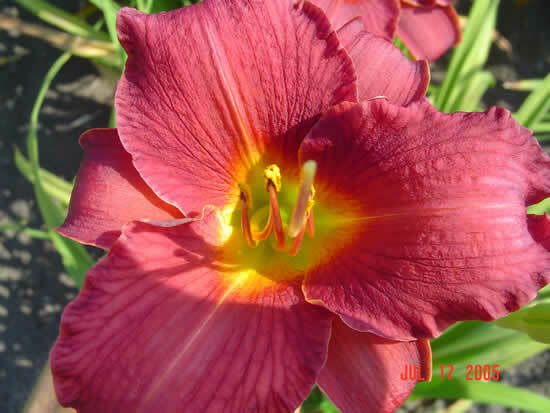 Payment is required prior to shipment. 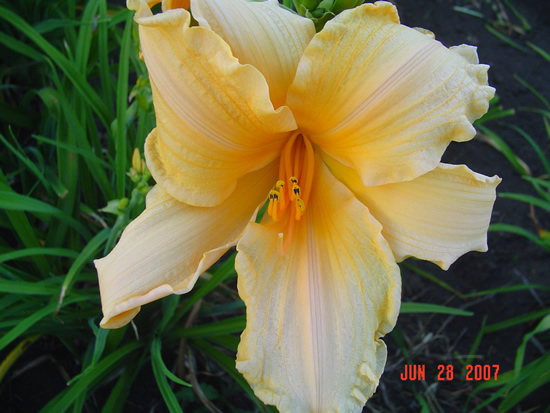 Rose and yellow, 30" tall, mid-season bloom. 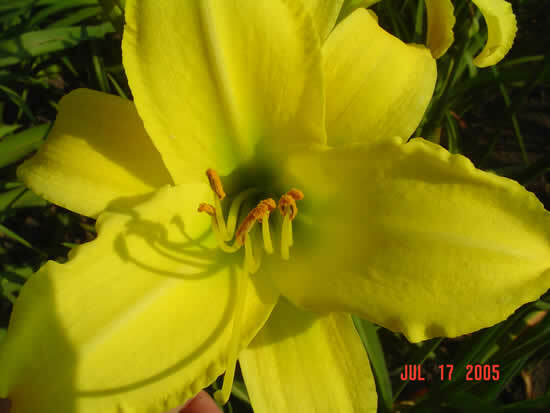 Rebloomer, small 2" yellow, 16" tall, early-season bloom. 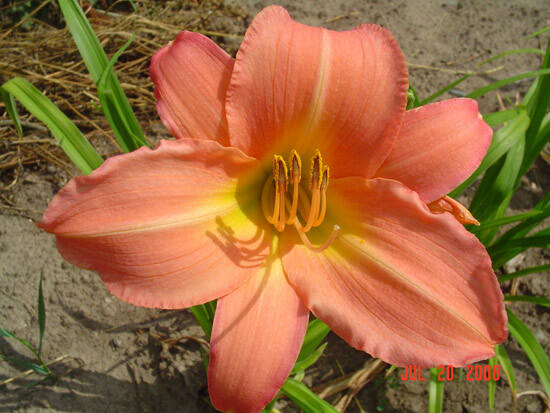 A rose bitone, good color and good grower. 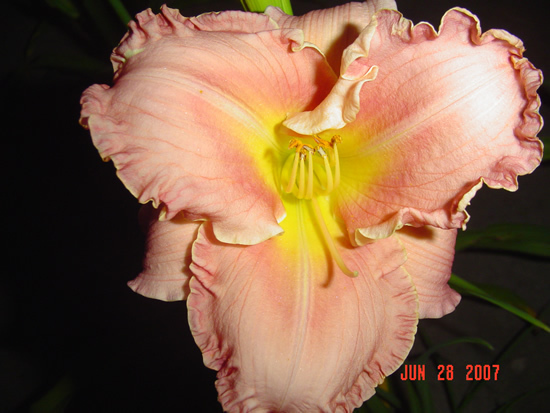 36" tall, mid-season bloom. 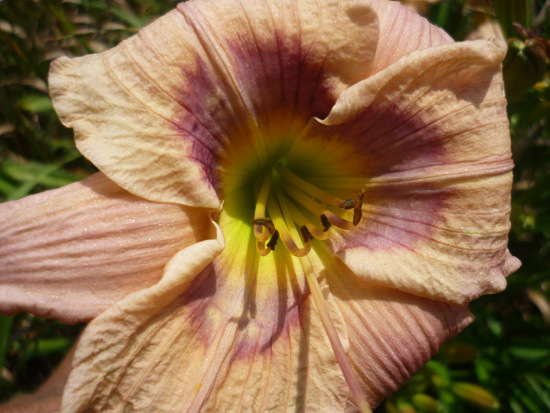 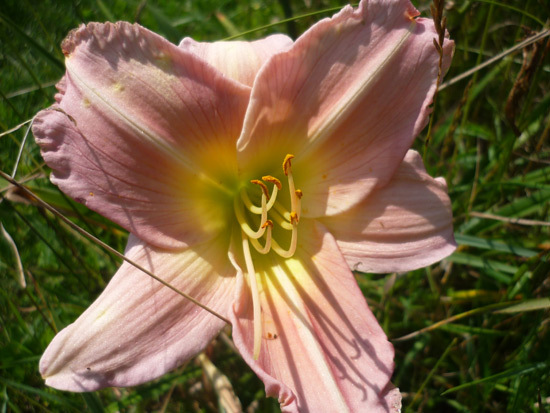 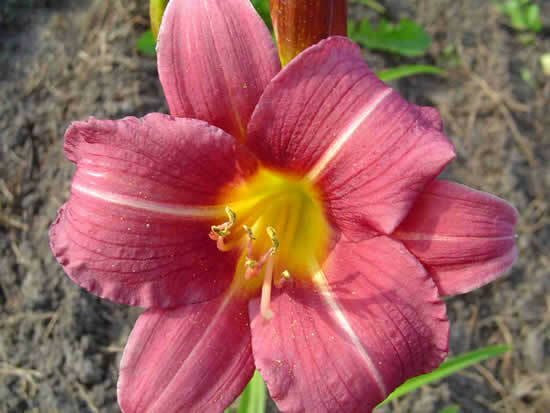 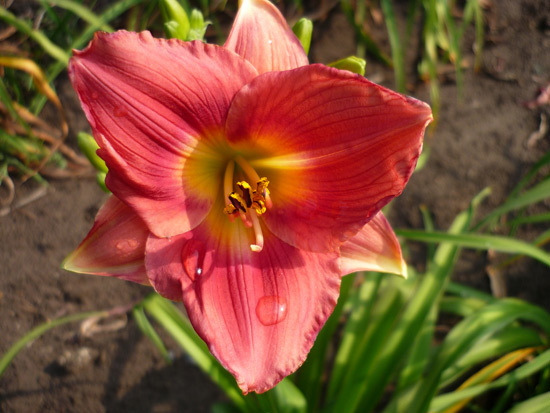 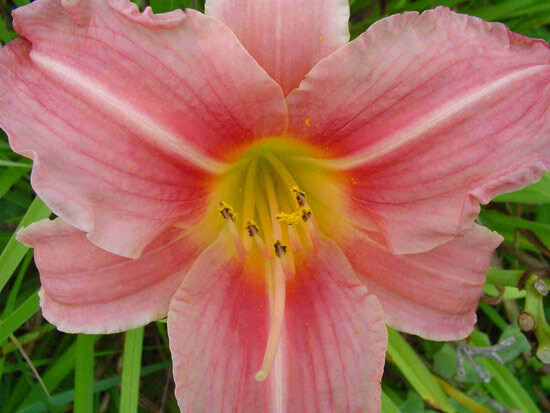 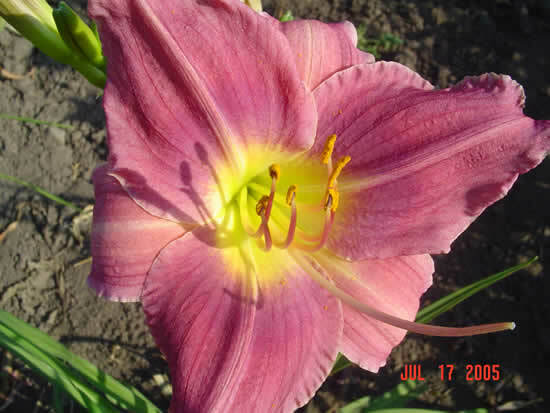 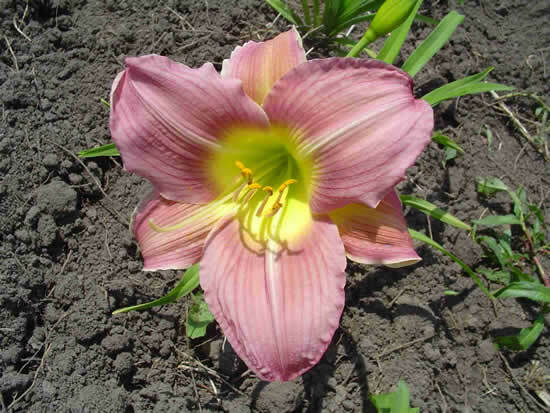 Large pinkish flower with a yellow throat. 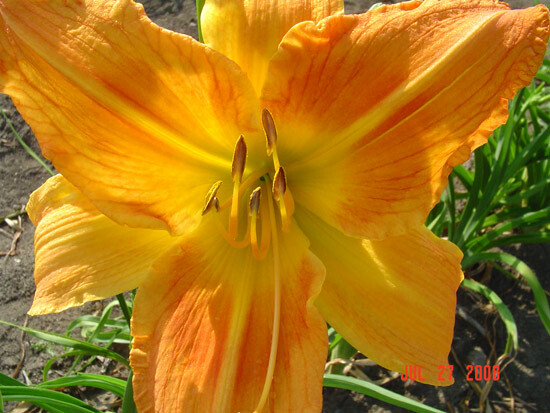 30" tall, mid-season bloom. 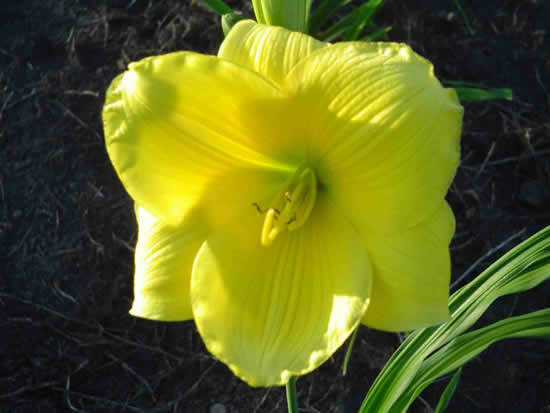 Golden melon, ruffled, 26" tall, early-mid season bloom (Wild). 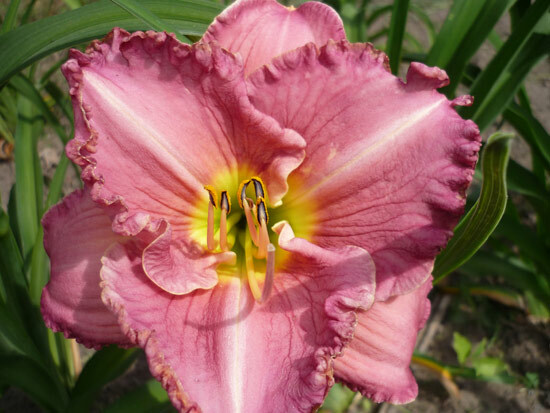 Cherry pink, deep cherry eye. 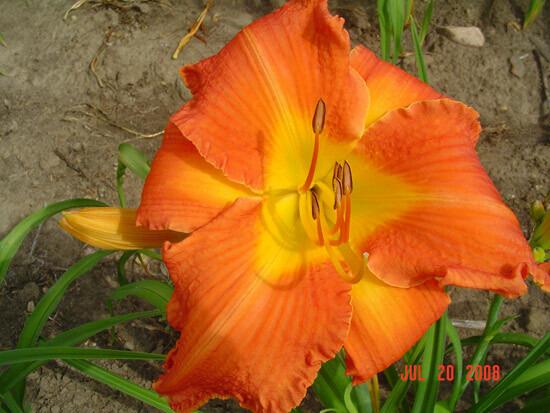 24" tall, late-season bloom. 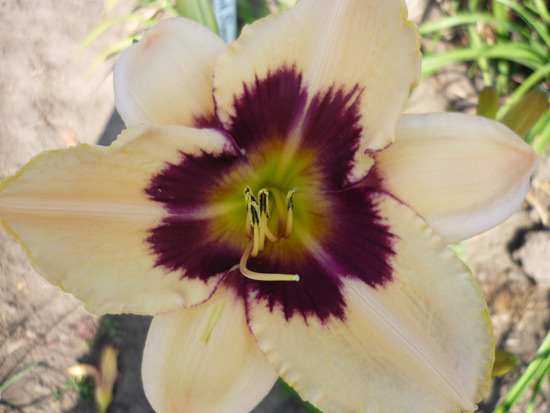 Wine Purple, white edge, green throat, 26" tall, early-midseason bloom. 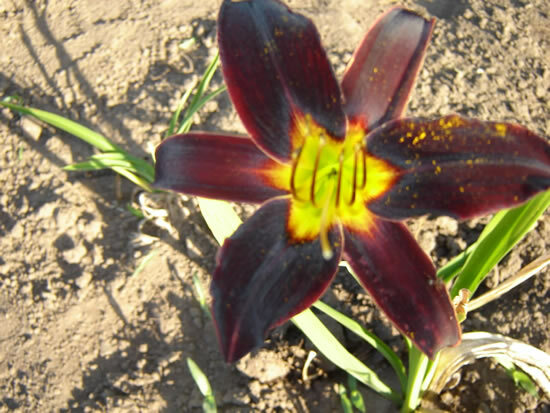 Black with yellow eye. 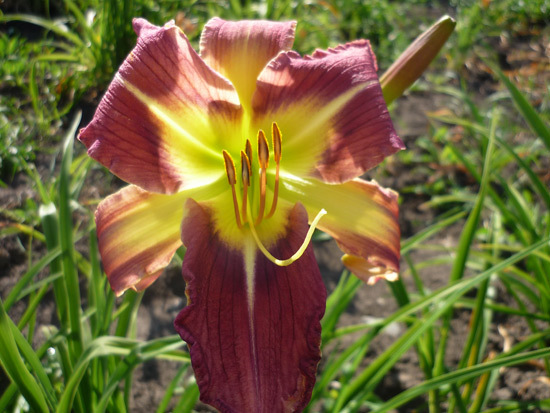 36" tall, mid-season bloom (Lambert). 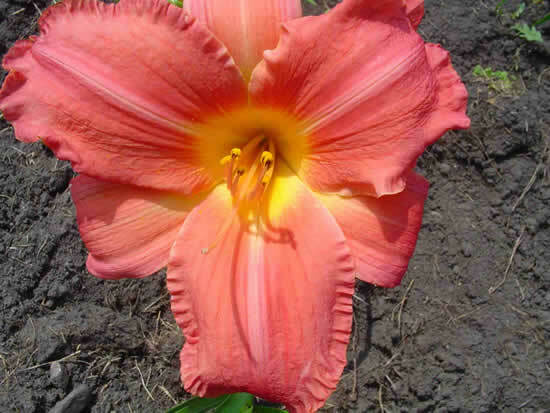 Pink and orange blend, 27" tall, early-mid season bloom. 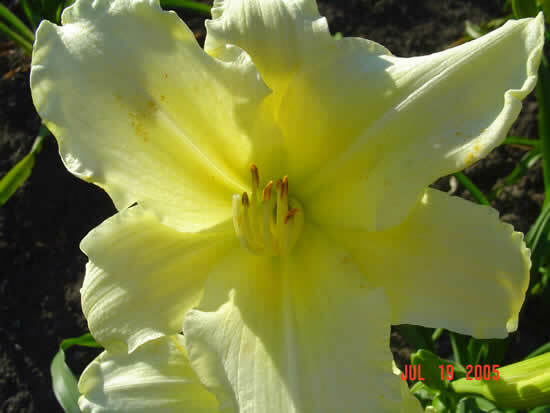 Silvery rose with lemon throat, 28" tall, mid-season rebloomer (Shooter). 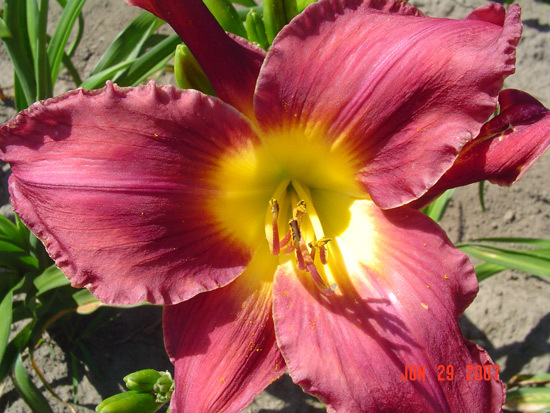 Spider, Purple eyezone with gold flower, 30" tall, early-season bloom. 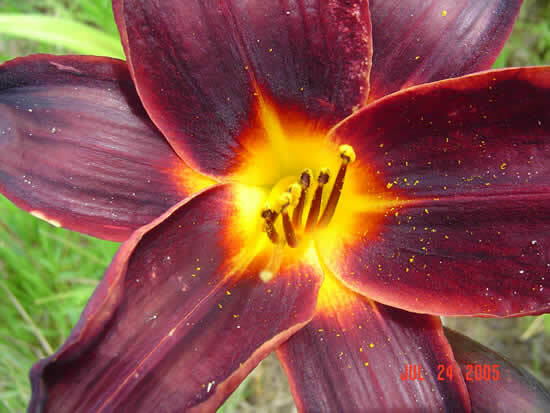 Copper yellow flower with a redish eyezone. 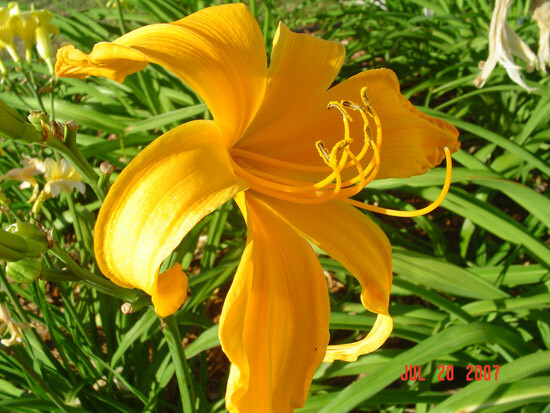 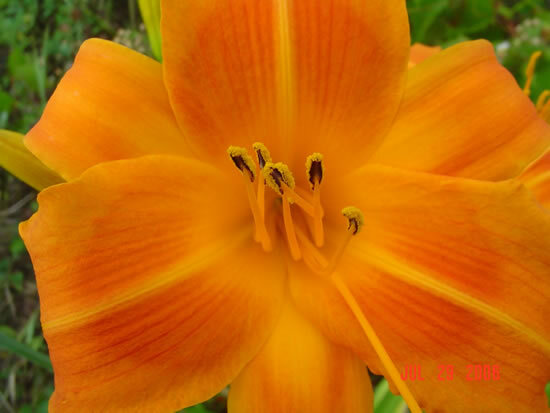 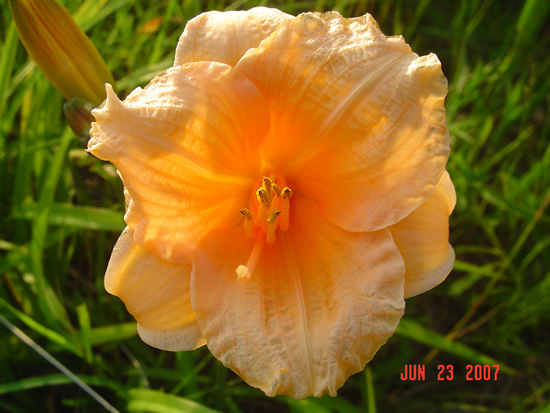 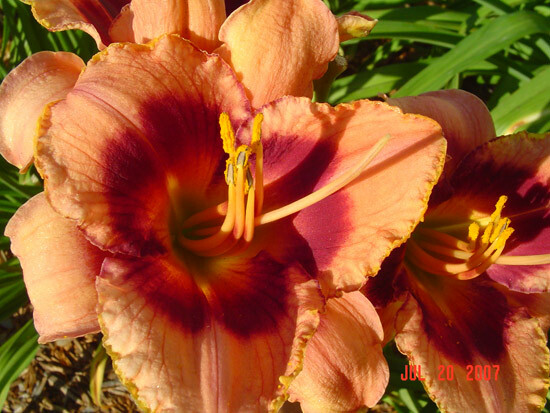 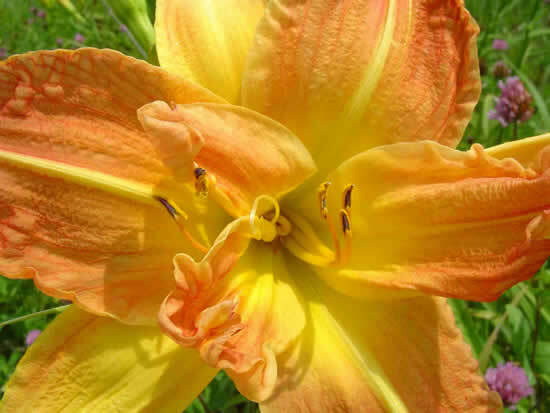 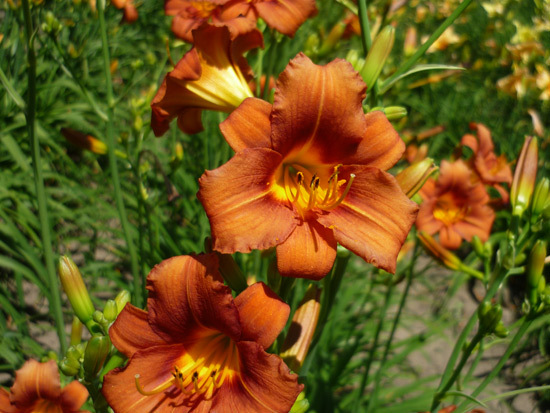 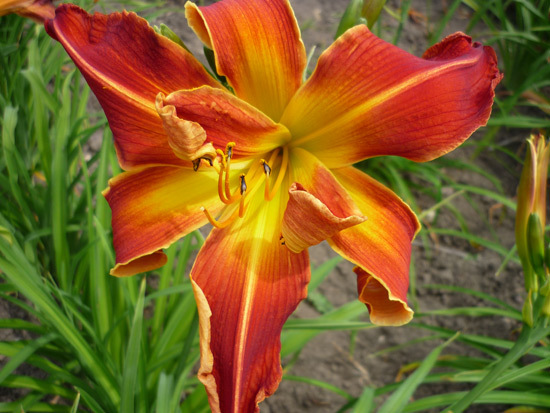 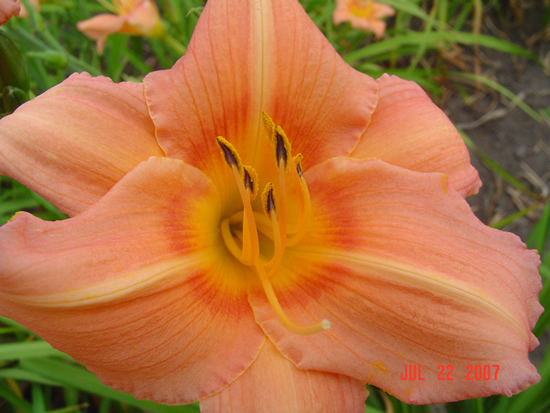 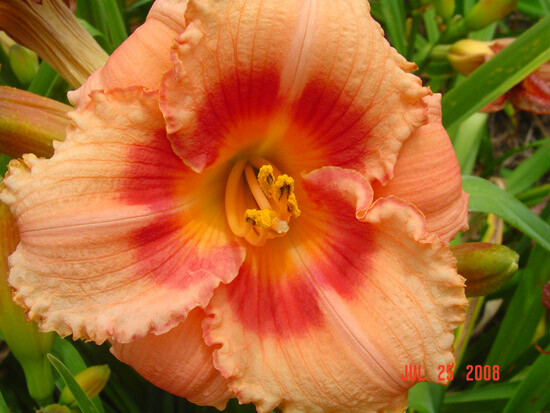 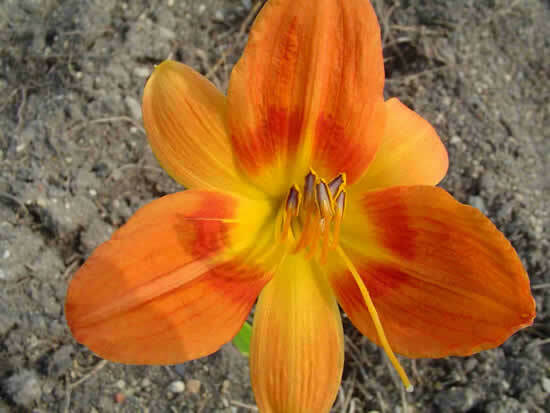 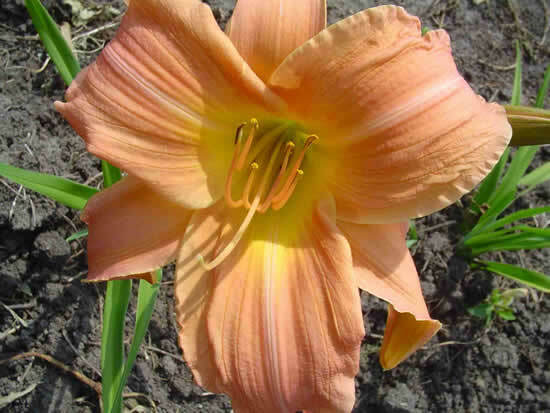 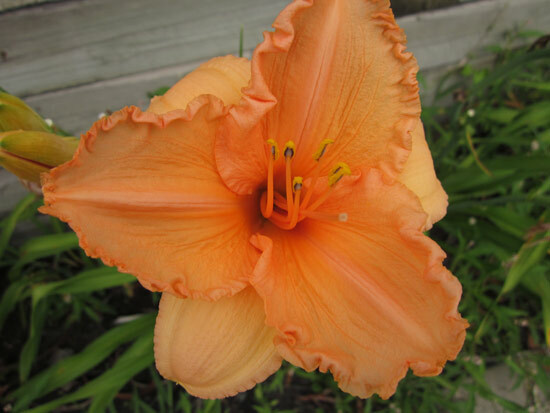 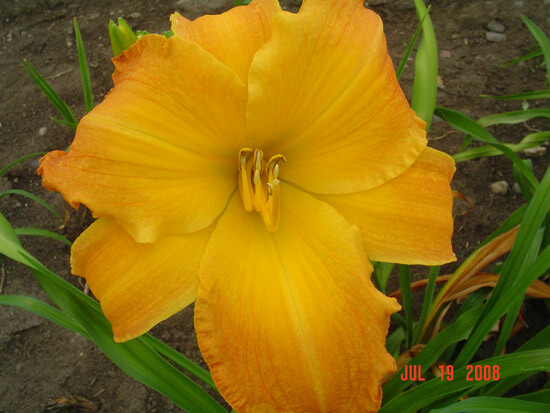 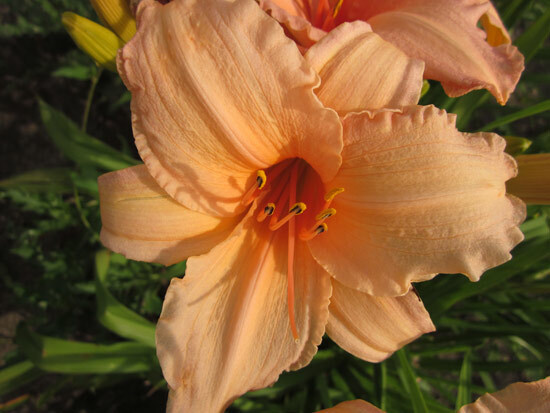 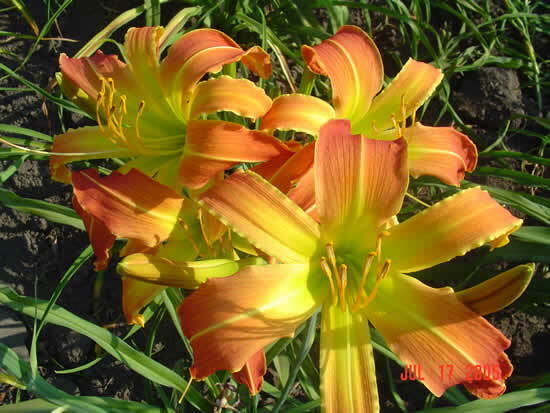 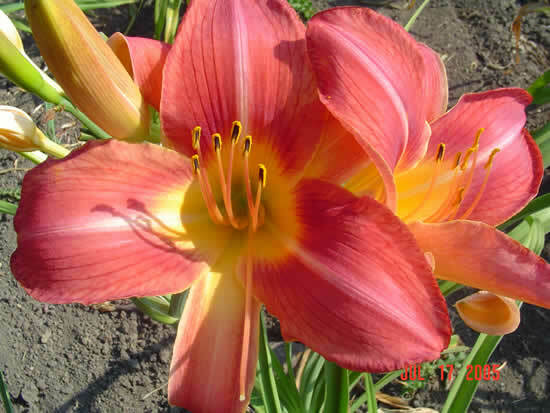 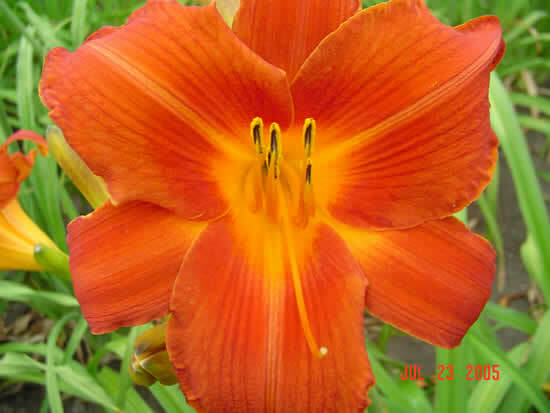 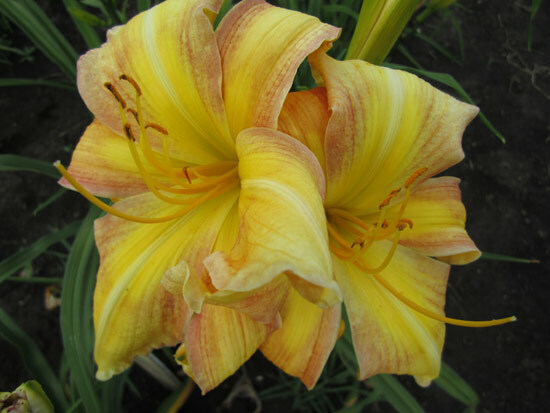 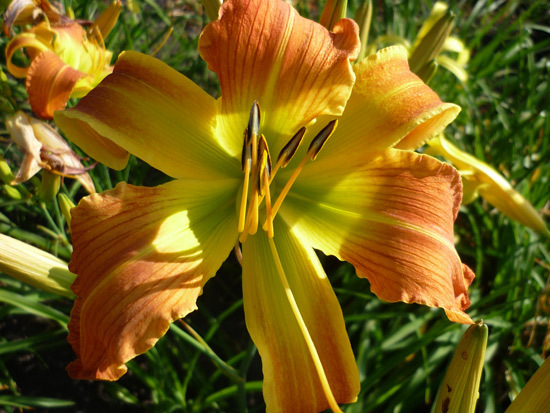 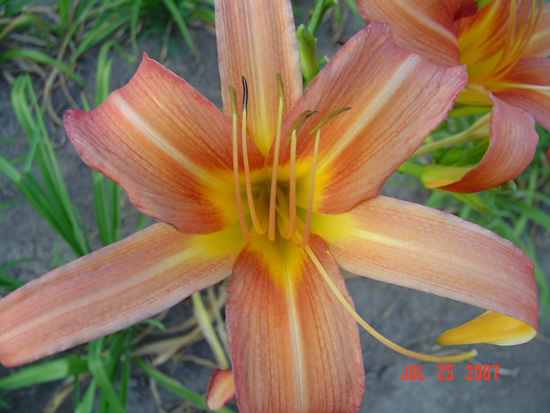 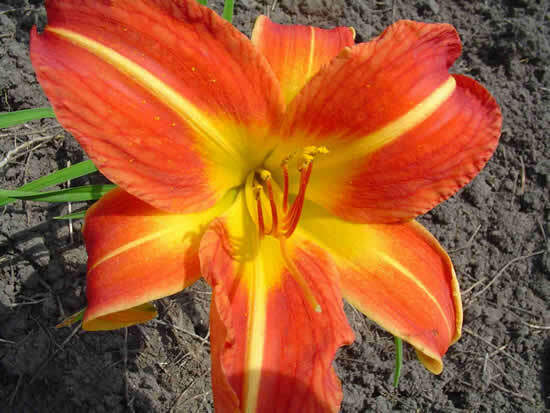 28" tall, mid-season bloom..
Golden/orange in color, 30" tall, mid-season bloom. 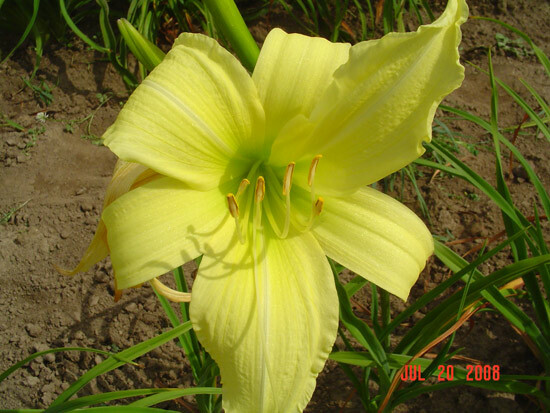 Melon color flower with a yellow throat. 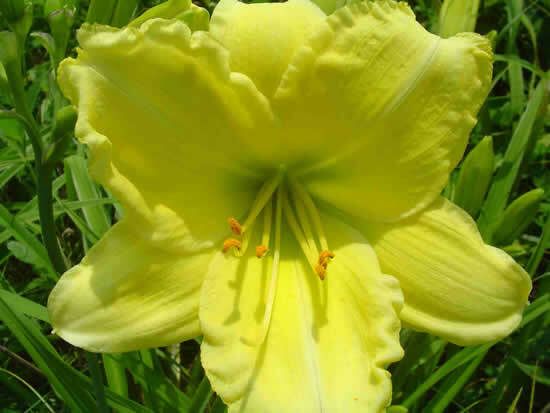 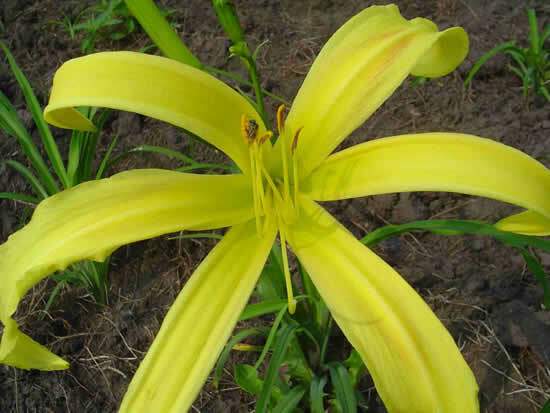 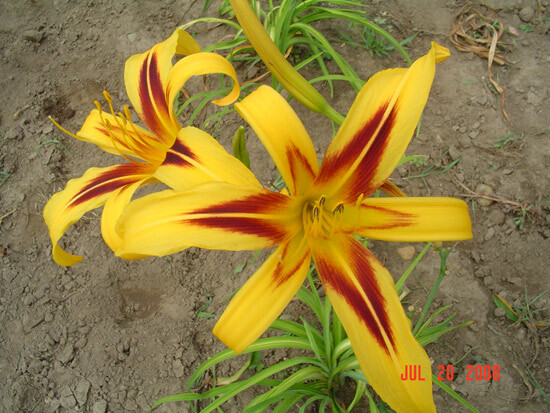 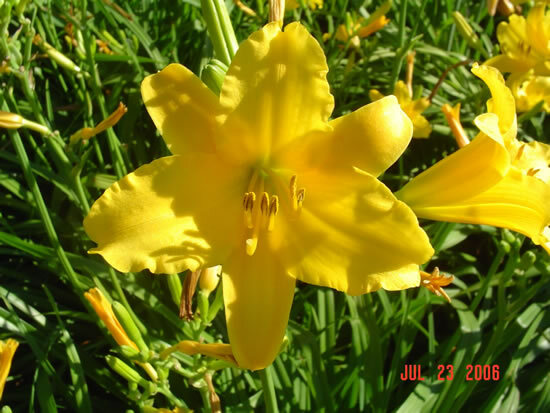 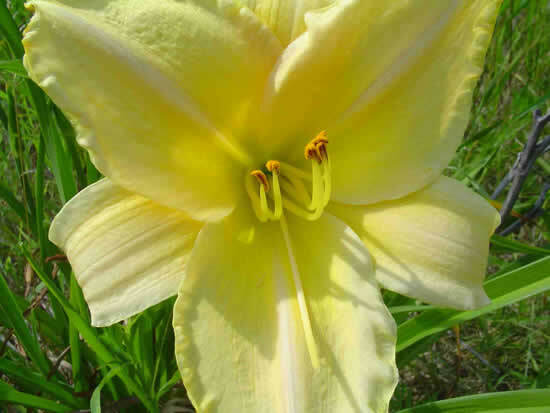 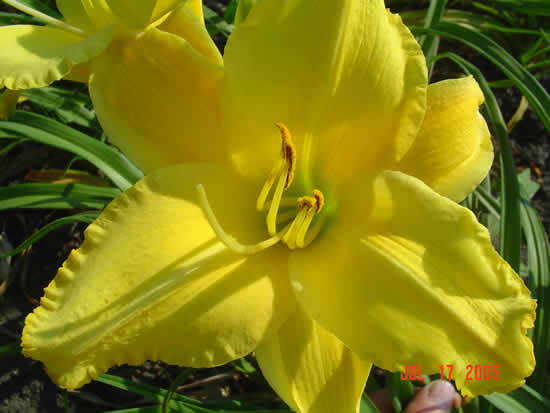 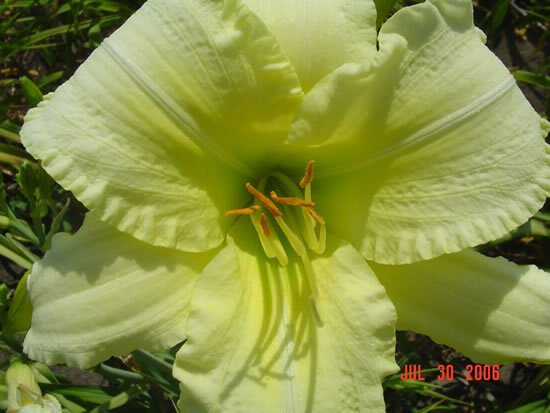 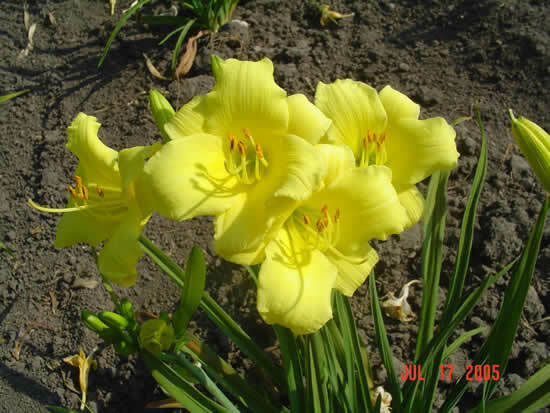 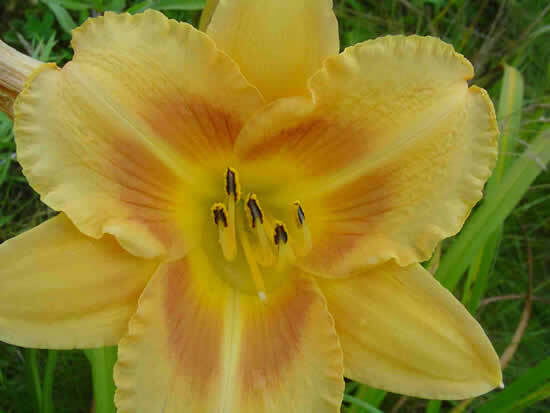 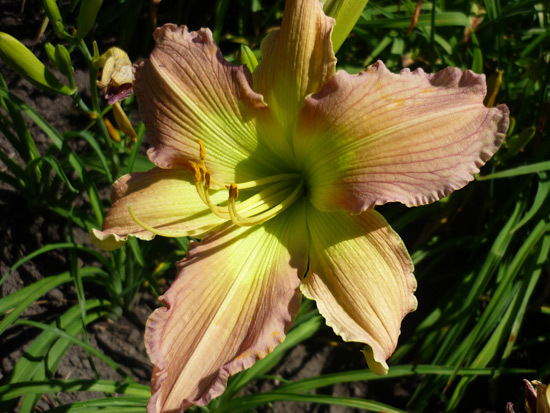 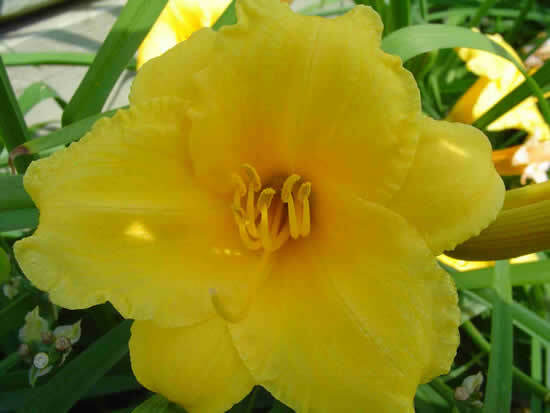 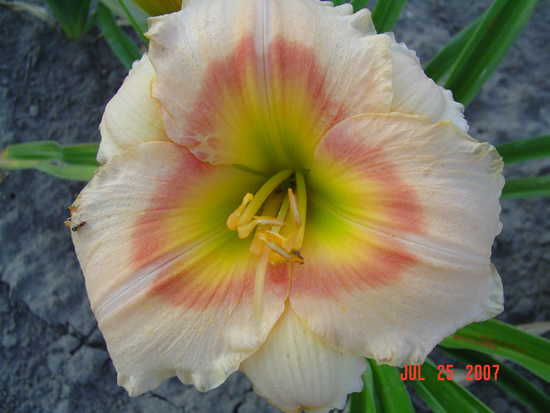 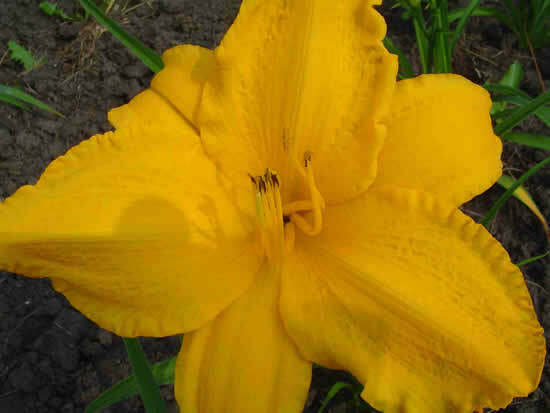 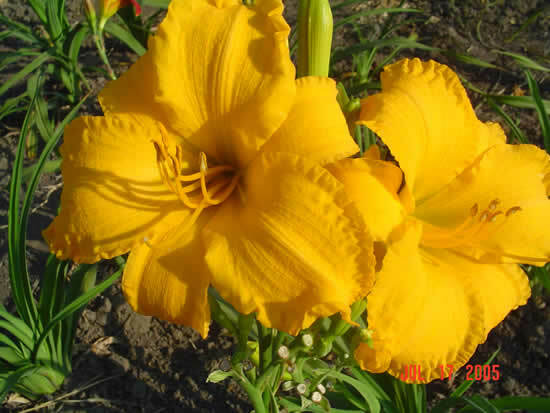 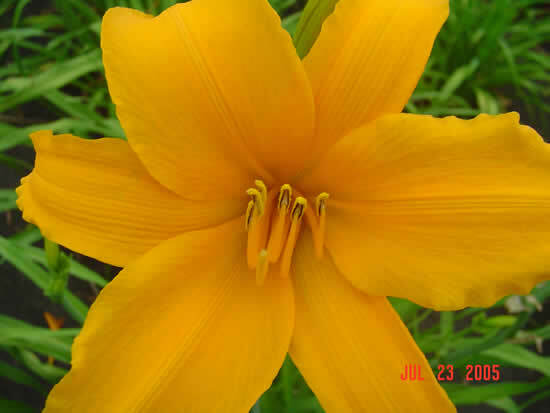 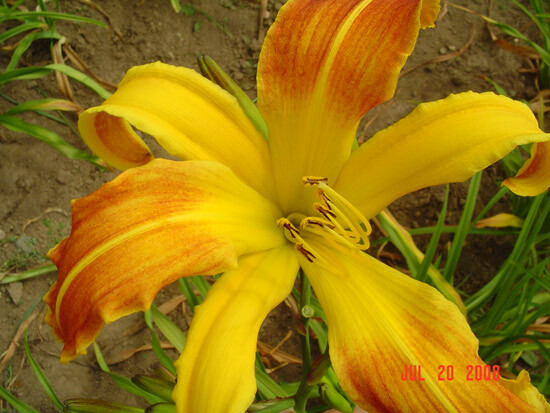 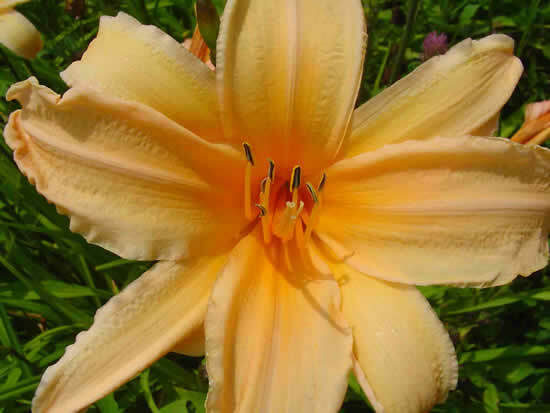 28" tall, mid-season bloom..
Flate yellow flower with green throat. 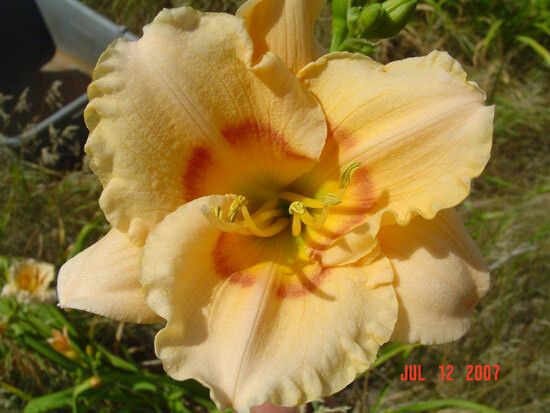 32" tall, mid-season bloom. 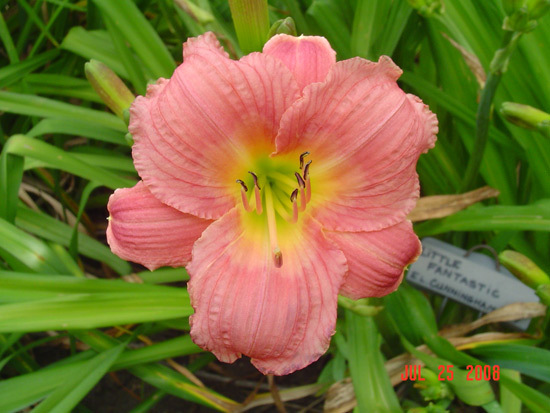 Diamond duste bright pink with lighter midrib and a green throat, 28" tall, mid to late-season (Spalding). 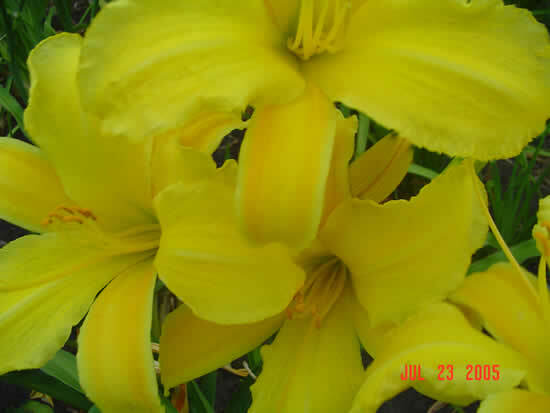 Yellow spider. 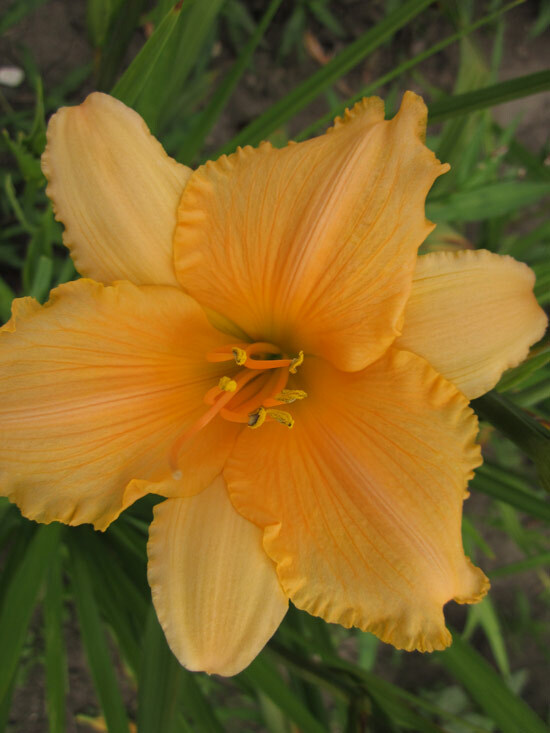 32" tall, mid-season bloom. 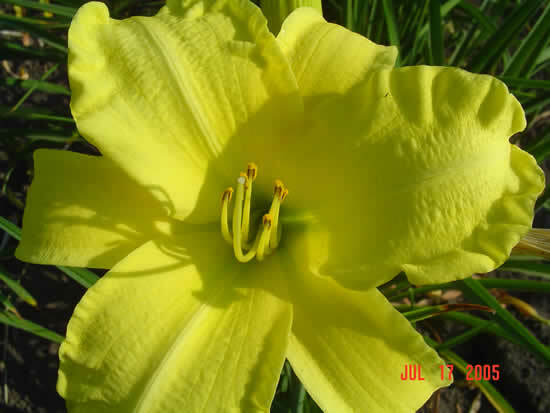 Nice large yellow, 36" tall, mid-season bloom. 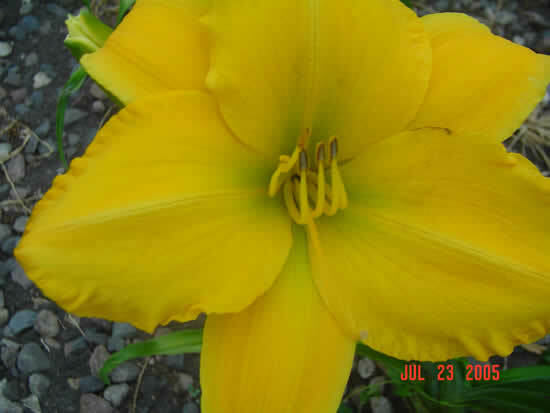 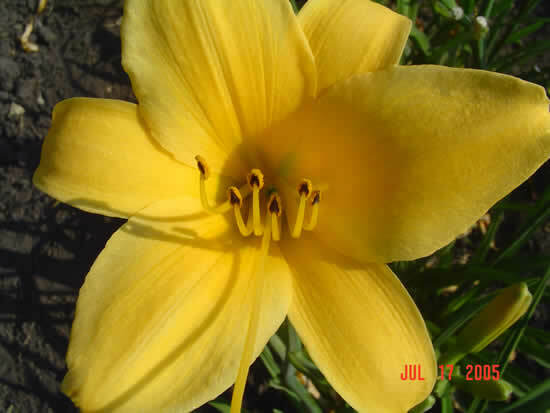 Large yellow flower with yellow throat. 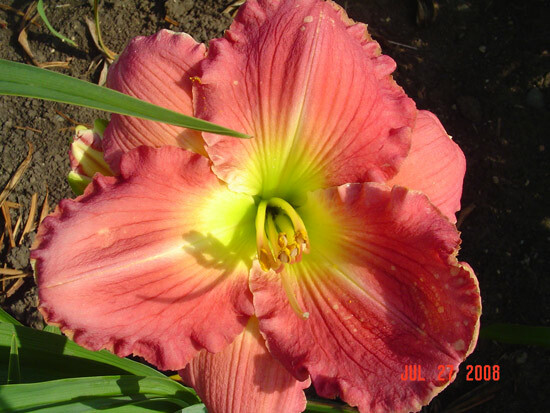 30" tall, late-season bloom..
Buff pink with red eyezone and green throat, ruffled petals, 26" tall, early-season bloom (Wild). 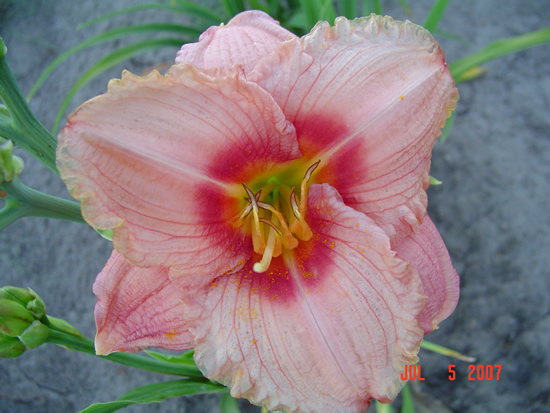 Pink bloom with darker yellow/green throat. 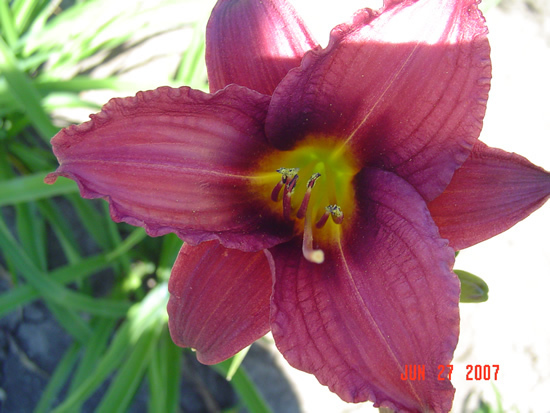 28" tall, early-season bloom..
Rose wine and gold throat, 30" tall, early-mid season bloom (Wild). 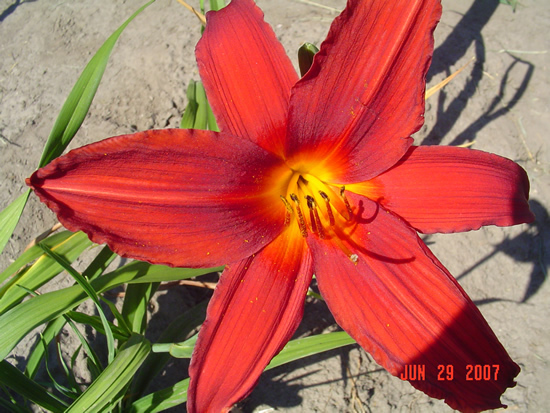 Bright red self with a yellow throat. 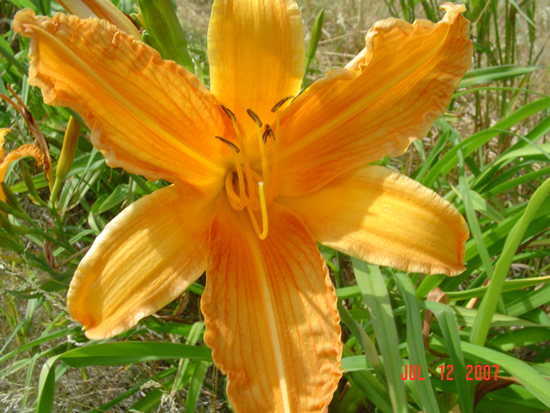 30" tall, late-season bloom. 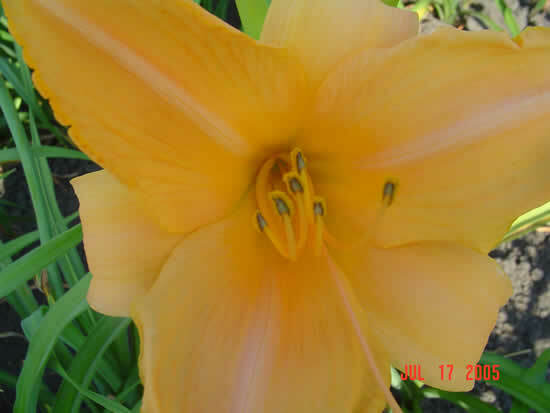 Lavender bloom with yellow/green throat. 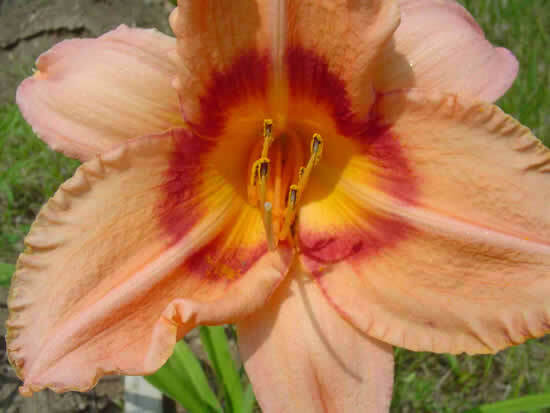 28" tall, mid-season bloom. 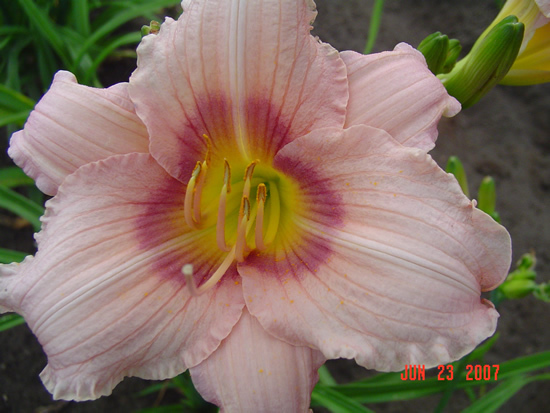 Lavender pink self with light yellow throat, 32" tall, rebloomer. 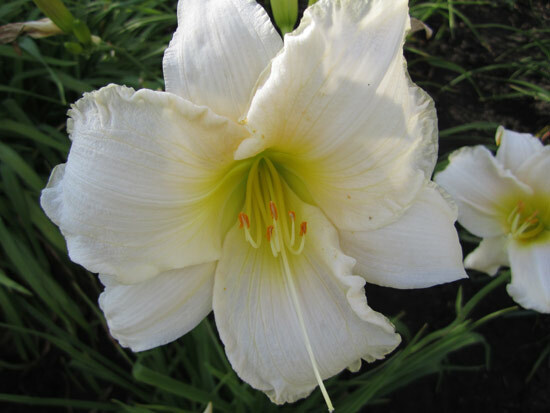 Light pearl ivory, 26" tall, late-season bloom. 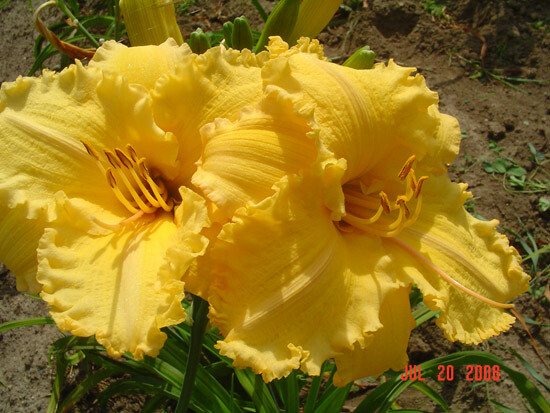 A very nice ruffled, small-flowered yellow. 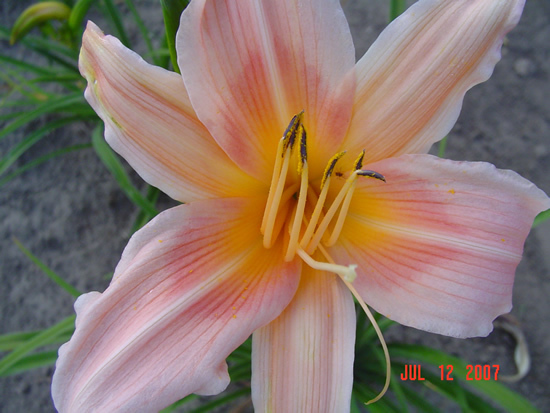 A slight blush of pink over the petals. 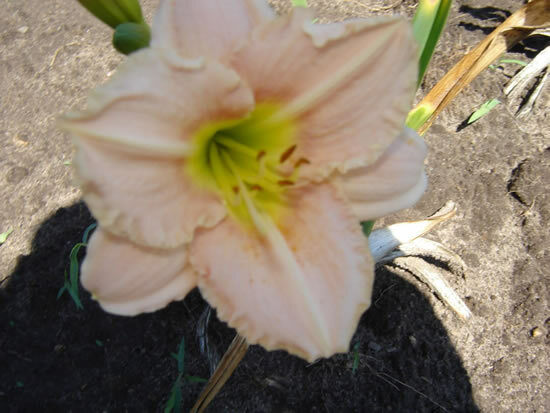 30" tall, mid-season. 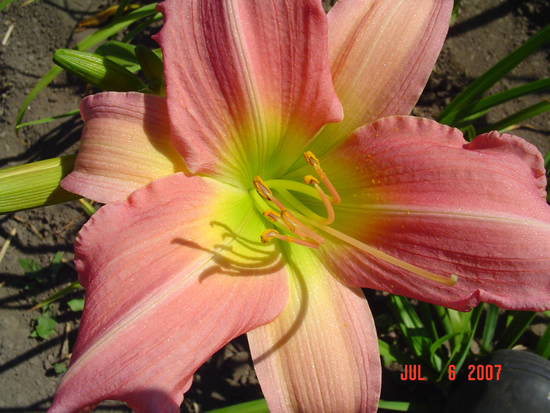 Pink salmon self, 19" tall, early-mid season bloom (Wild). 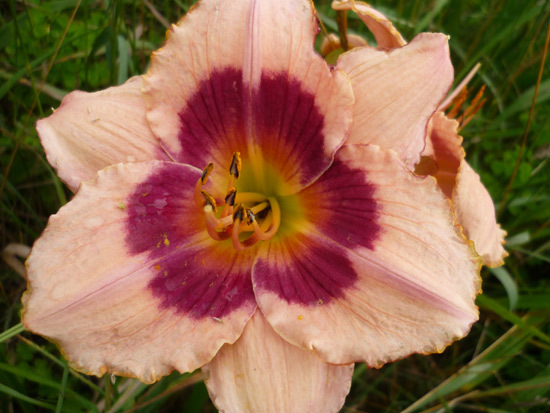 Pink bloom with darker pink eyezone and yellow throat. 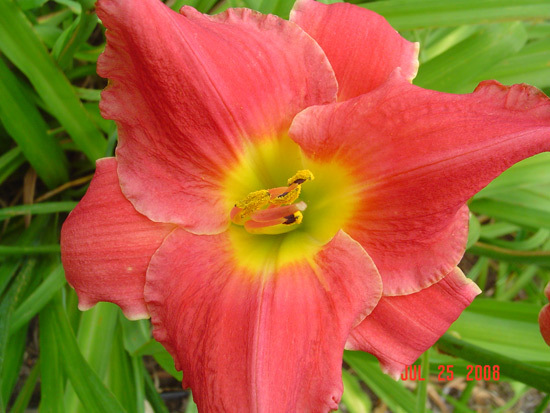 28" tall, late-season bloom..
Red pixie, 25" tall, mid-season bloomer. 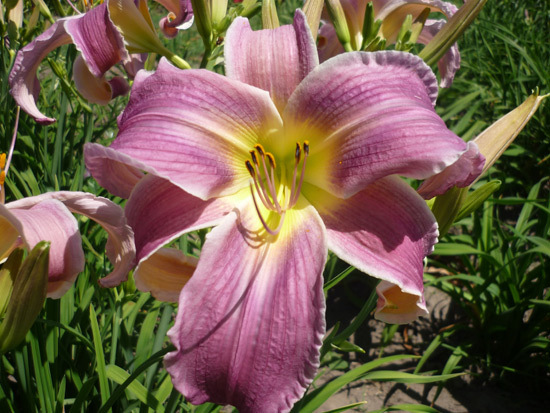 Violet with cream mid ribs, 20" tall, late-mid season bloom (Wild). 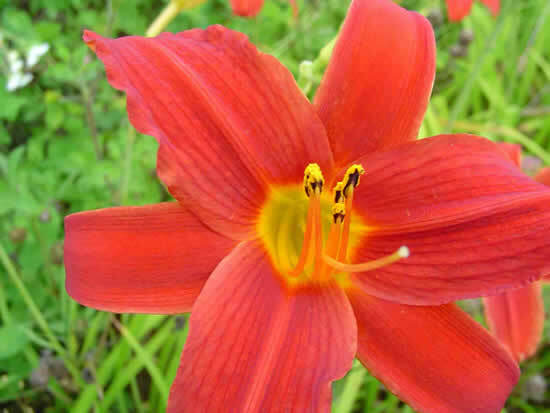 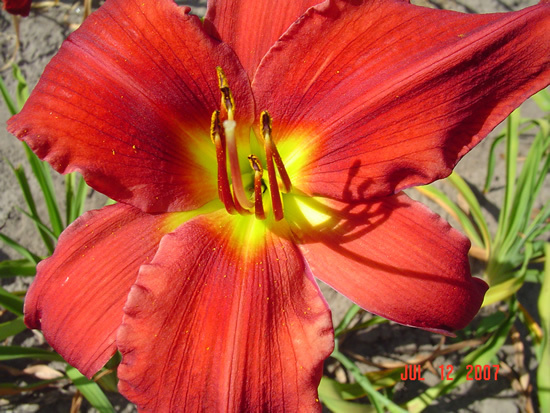 Red bloom with yellow throat. 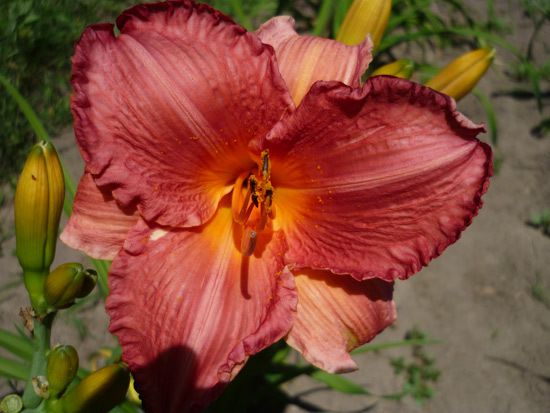 28" tall, mis-season bloom. 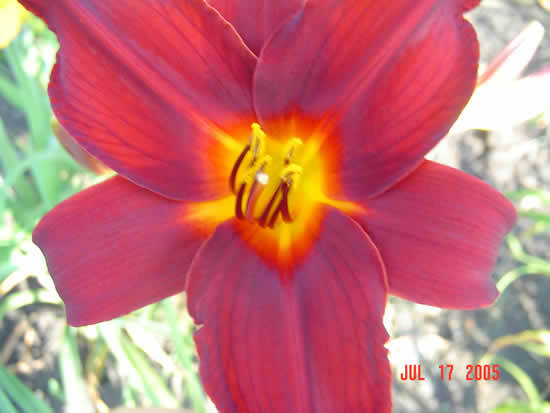 Red petals with yellow star shaped throat. 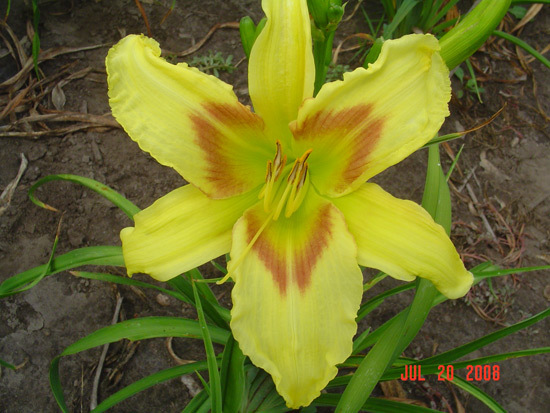 32" tall, late-season bloom. 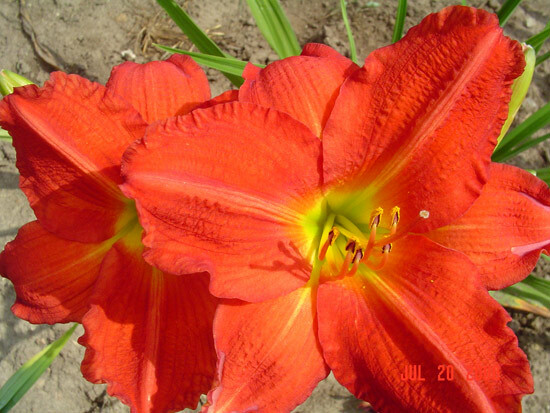 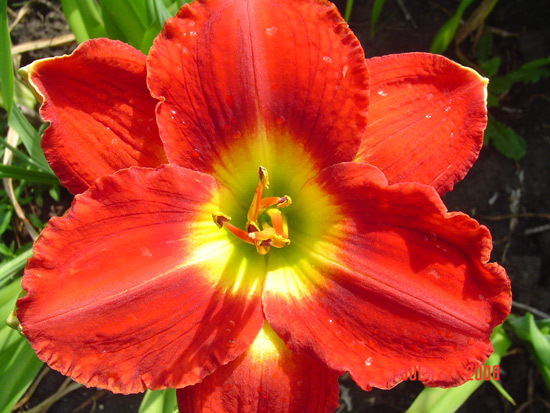 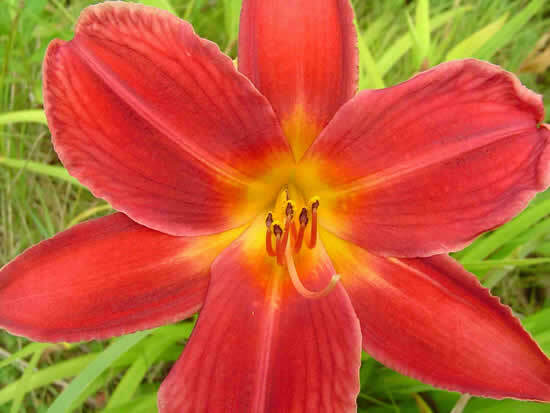 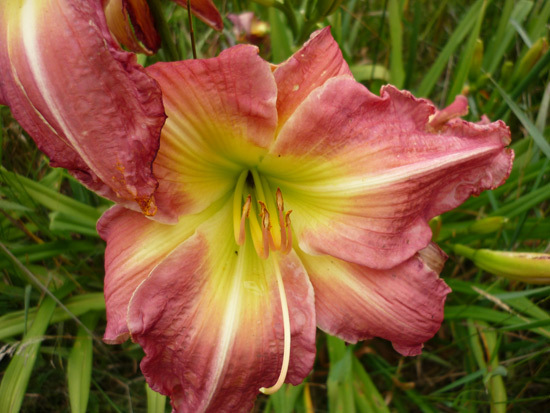 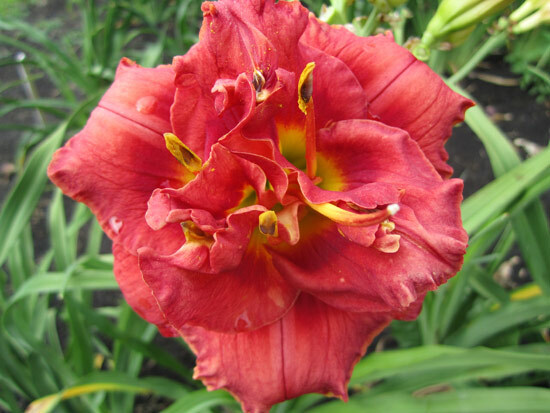 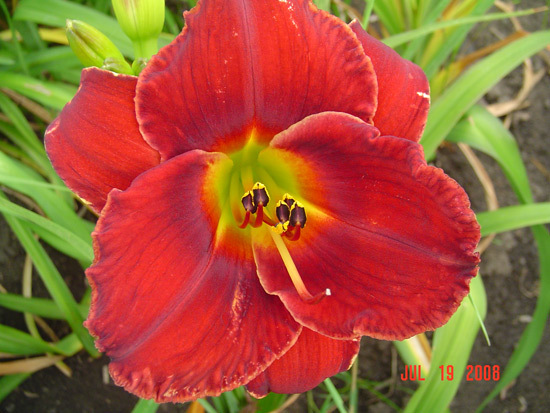 Rich red, 28" tall, early-mid season bloom (Oakes). 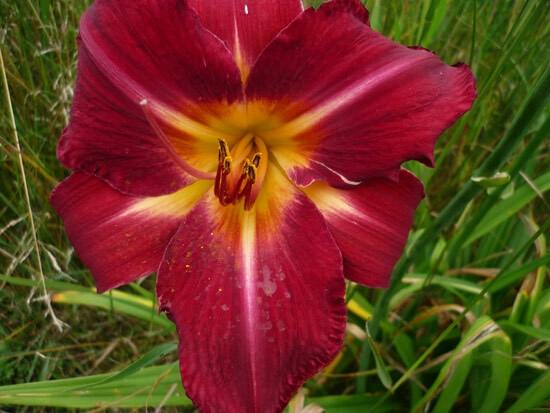 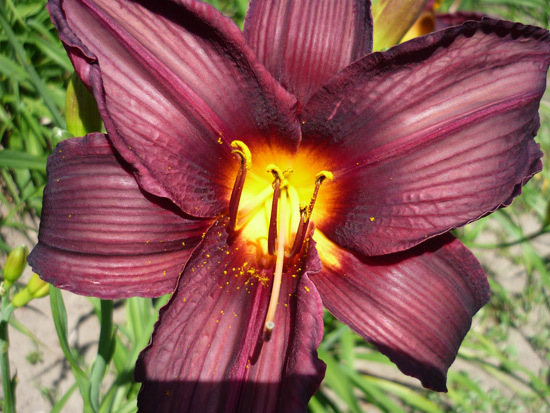 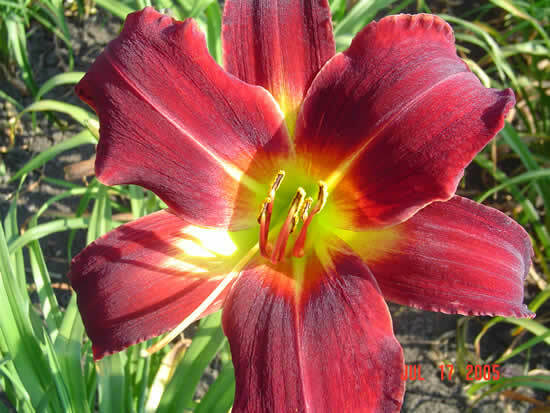 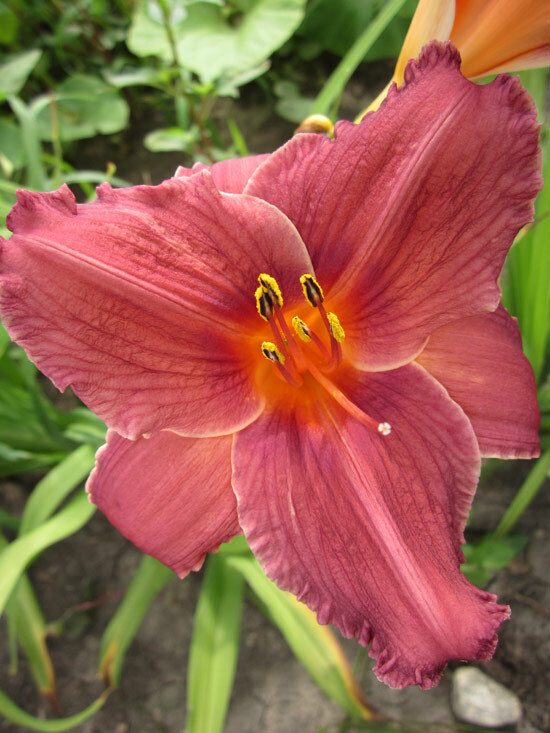 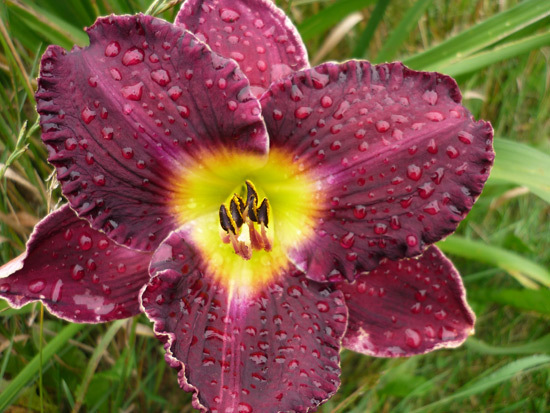 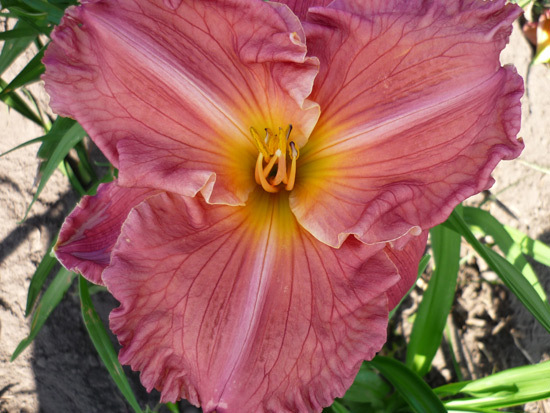 Large dark red bloom with light ruffled edges. 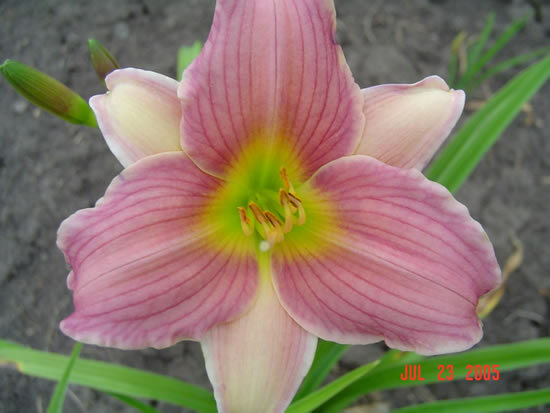 30" tall, mid-season bloom. 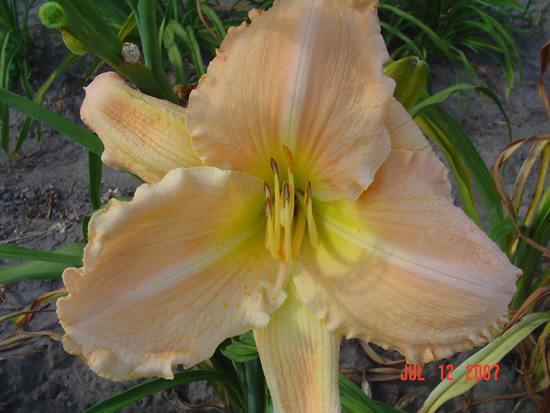 Rose with rose throat, 21" tall, early-mid season bloom (Stamile). 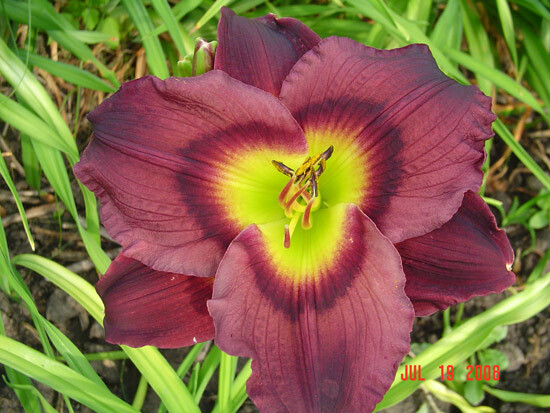 Redish velvet bloom with small yellow throat. 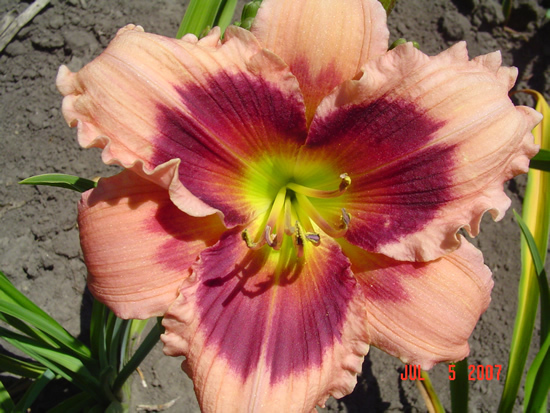 28" tall, mid-season bloom.. 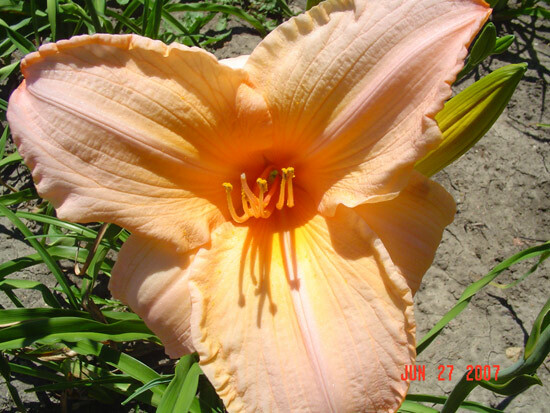 Huge lavender rose, deep fluted edges, 26" tall, early-mid season bloom. 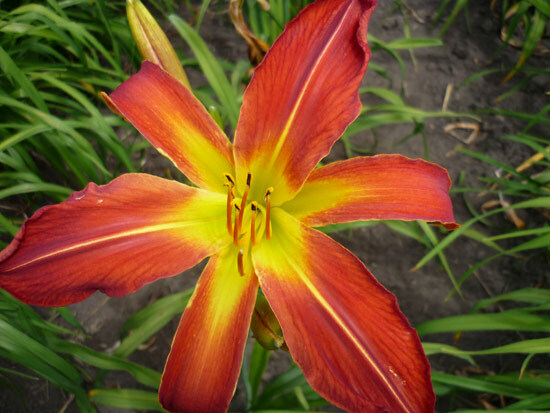 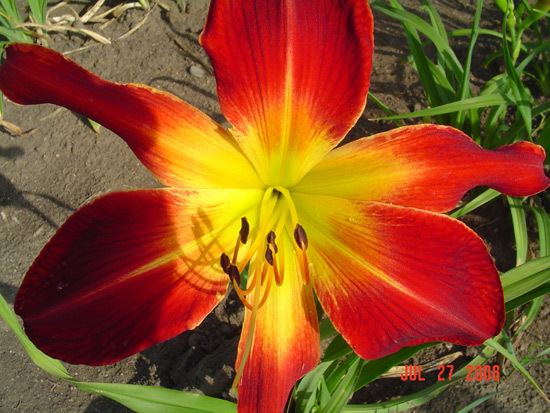 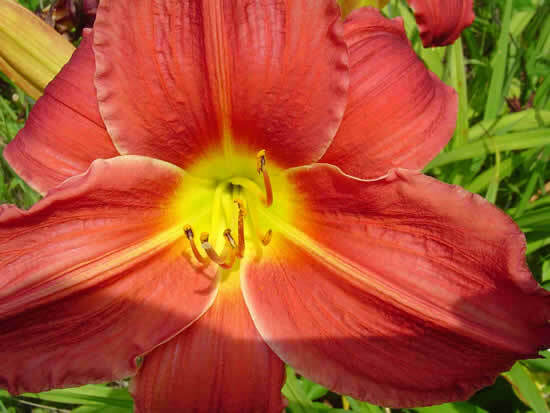 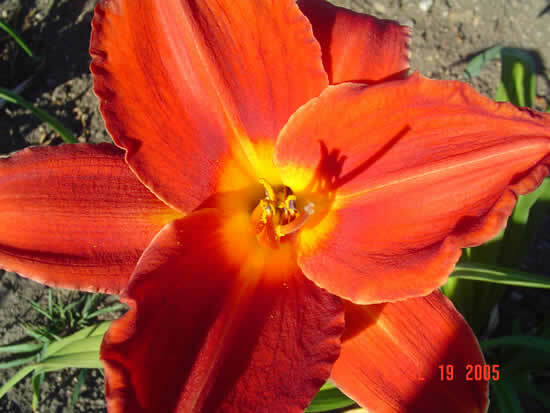 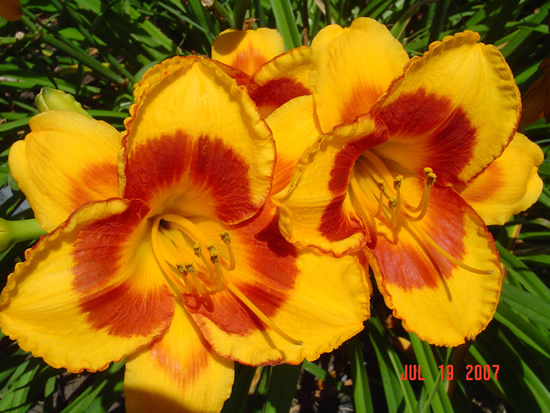 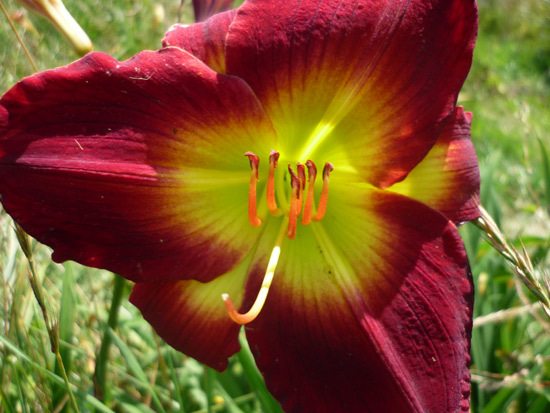 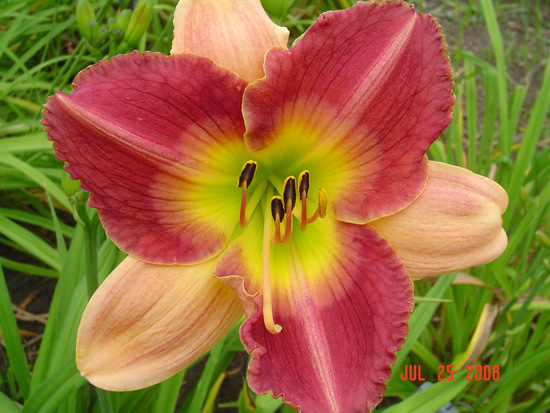 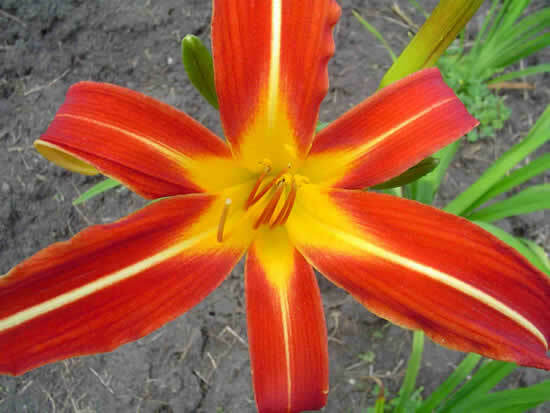 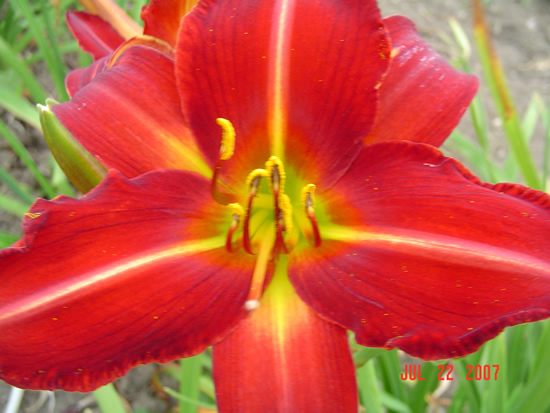 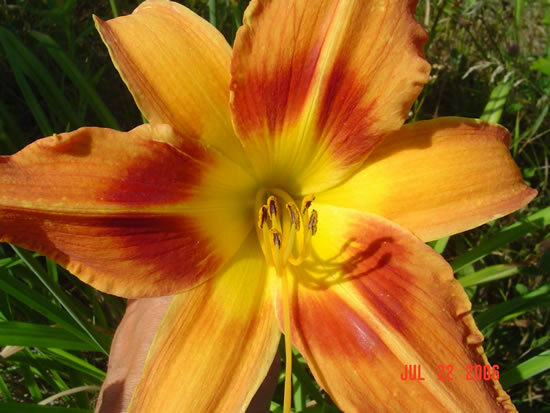 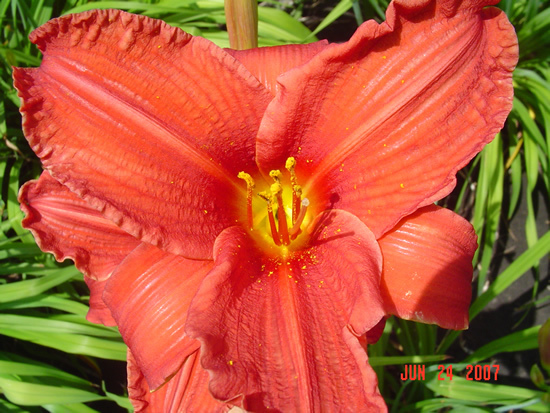 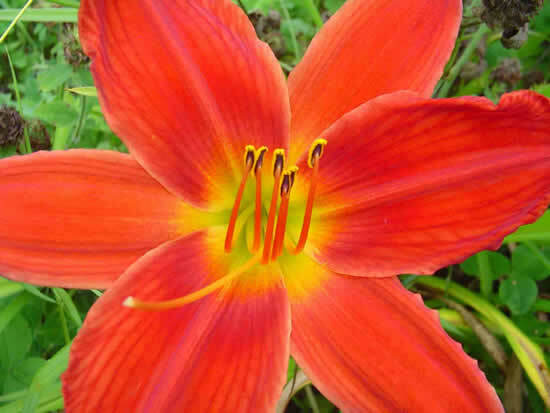 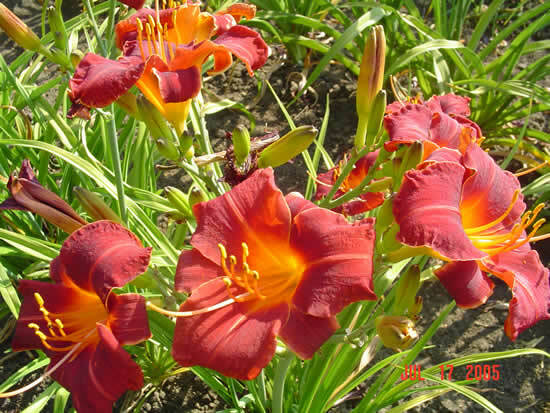 Huge red spider with wide yellow throat, 34" tall, mid-season bloom (Stamile). 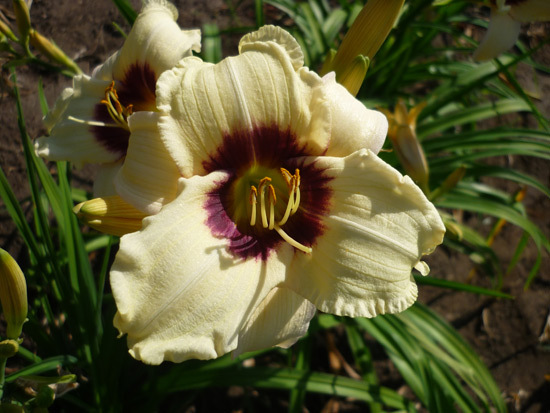 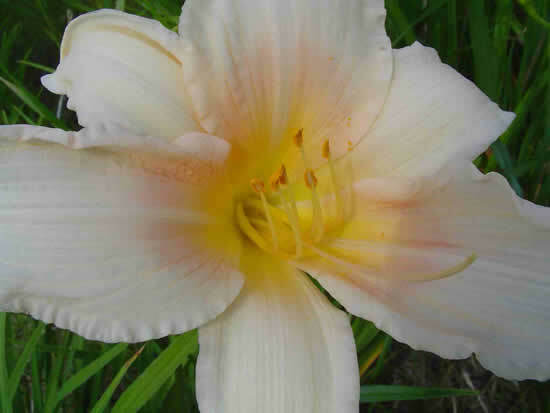 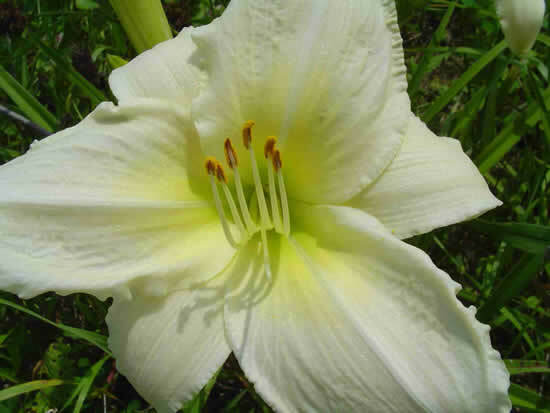 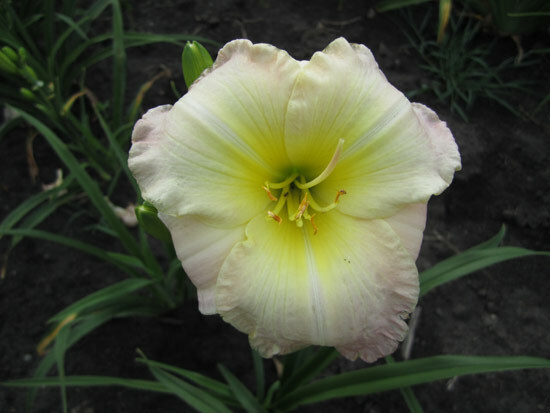 Pale in color, 32" tall, mid-season bloom. 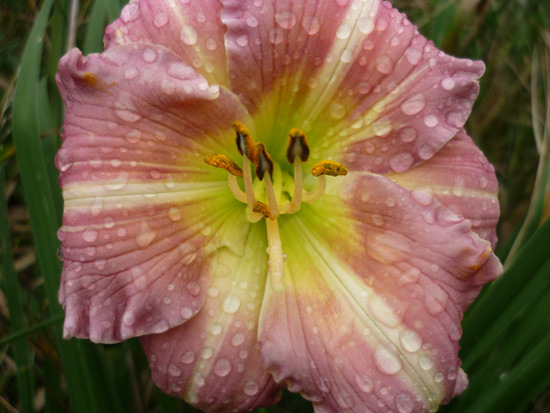 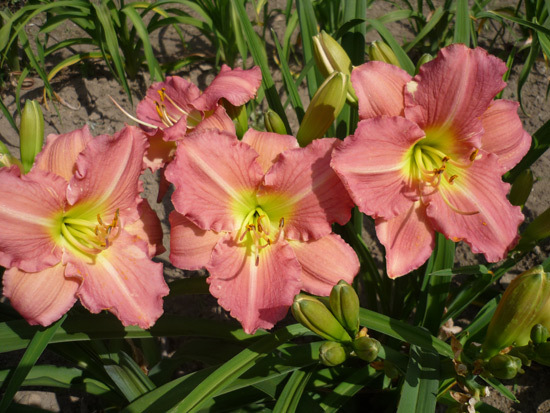 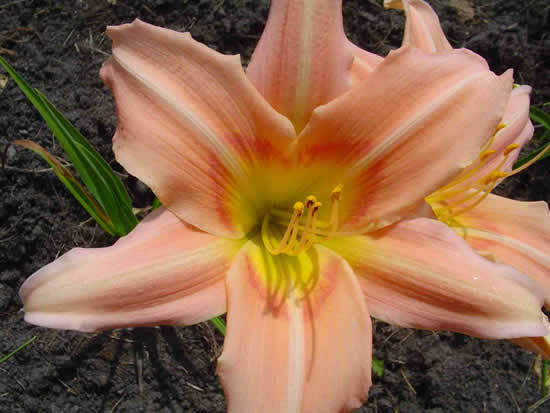 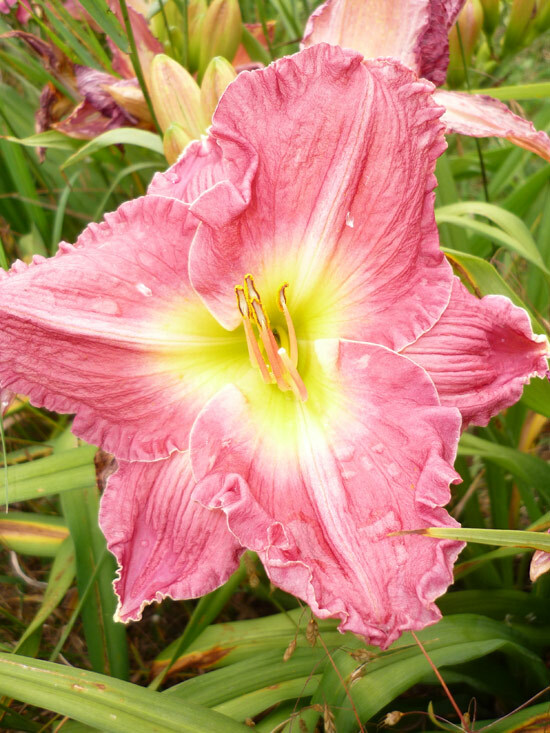 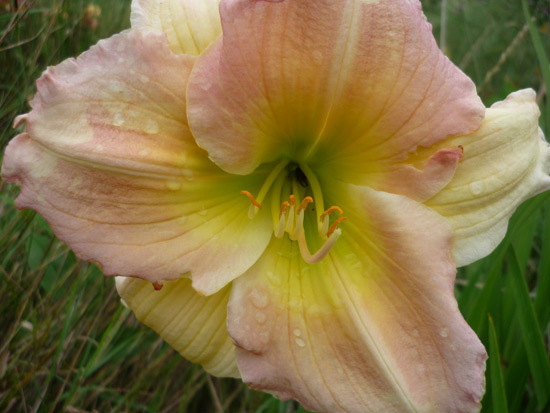 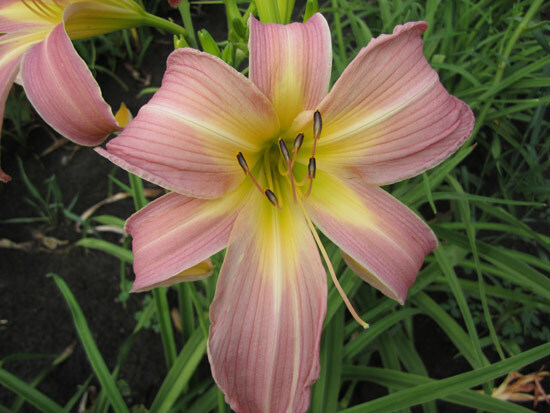 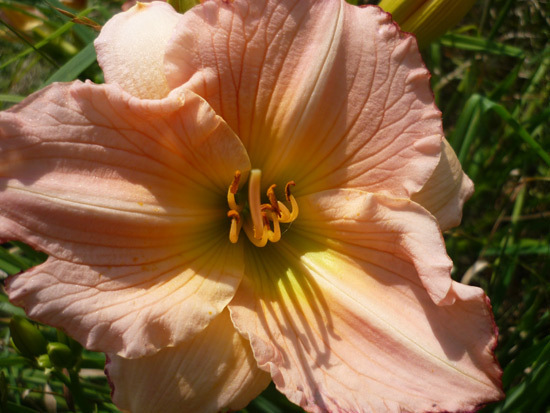 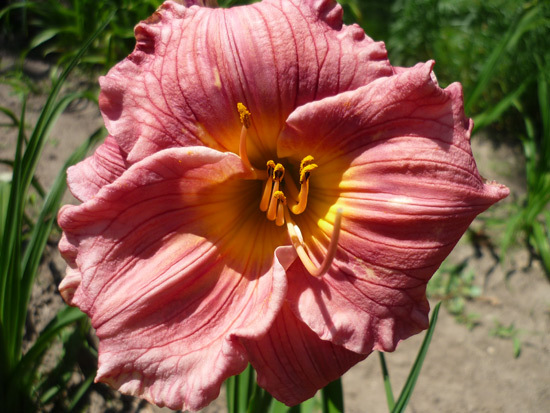 Light honey tinted with pink blends, wide ruffled petals, 30" tall, mid to late-season bloom (Wilds/Wadekamper).